Photograph by Andy Keate, courtesy of Gasworks, London. 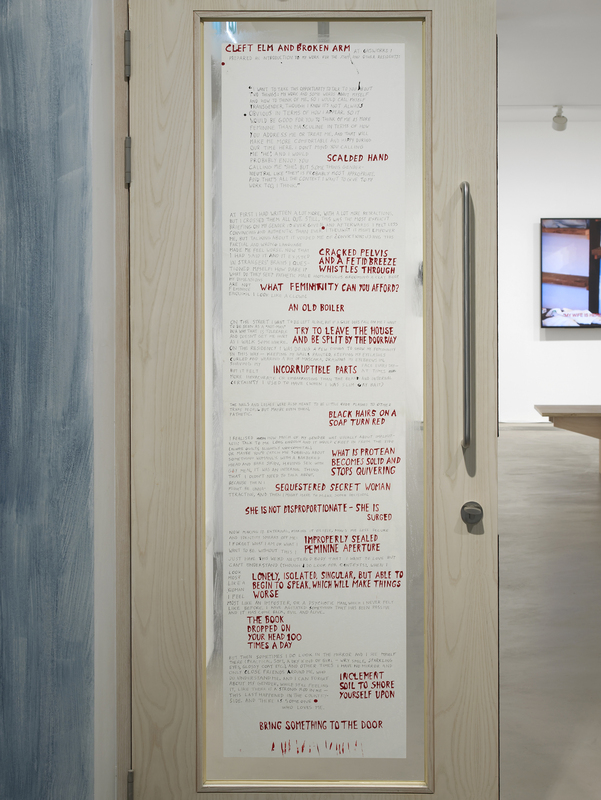 Stone breaker is a text drawn on paper with a knife, pasted onto a misplaced door as part of the exhibition Female Executioner. The text describes my experience of gender while a resident artist at Gasworks in summer 2016. The main text, in black ink, is interrupted by — or formed around — bold phrases in red, which may be agreeing with the narrative or shouting it into submission.